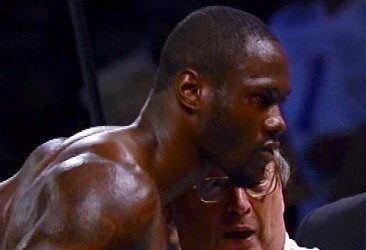 By Kenneth Davis: Unbeaten heavyweight prospect Deontay Wilder (24-0, 24 KO’s) will be making a quick return to the ring on Saturday night against 5’11”, 39-year-old Damon McCreary (14-0, 10 KO’s) in a 10 round bout a The Hanger in Cosa Mesa, California. Wilder last fought a month again in wiping out Kerston Manswell in one round. However, because Wilder’s fights are over with so quickly without him sustaining any real punishment, he’s able to fight more often than normal fighters typically do. Wilder should get past McCreary in one or two rounds as long as nothing goes wrong in there. Wilder will be back in the ring later on this month against an opponent still to be determined. Before he does that, Wilder will spent some time sparring with Audley Harrison to fine tune him for his October 13th fight against David Price. At this point Wilder badly needs to get some rounds in so that he can work on developing his skills and stamina. He’s knocking guys out so quickly that he’s not able to pick up much from the fight because his opponents are caving in so quickly. In an ideal situation, it would be great if McCreary can stand up to Wilder’s huge shots long enough for him to get at least 8 good rounds in. However, for that to happen McCreary will have to take some wicked shots that will really test chin. If he can take them then all the better for Wilder, but it’s highly unlikely that McCreary will last long with Wilder teeing off on him. Wilder recently attempted to get unbeaten Tyson Fury in the ring to fight him. Fury, however, wasn’t interested and instead is looking to get a fight against former WBA World heavyweight champion Ruslan Chagaev in November. Wilder was hoping to beat Fury and then pick up a top 15 ranking in the division because of that.